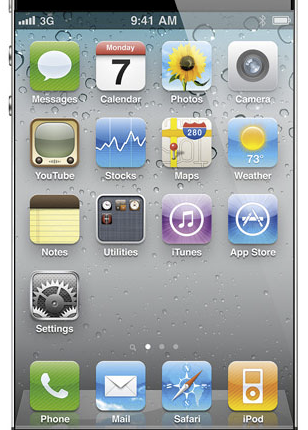 Toshiba to Provide 720p Retina Display for Future iPhone? Around this time of year, next-generation iPhone rumors are usually coming left and right. According to a new report, Toshiba is building a 4-inch 720p Retina Display for Apple. If you may recall, late last year Reuters reported that Apple and Toshiba were working together on a plant to make displays for iOS devices. Toshiba had announced that it would build a factory for 100 billion yen (about $1.2 billion) to produce future LCD panels. Yesterday, Toshiba announced its next generation of mobile displays, which Toshiba will be showing off in LA this week. According to the press release, the mobile displays are sized from 3.3 inches to 4 inches, with resolutions from Wide VGA (480-by-864) to HD (720-by-1280). You mad? 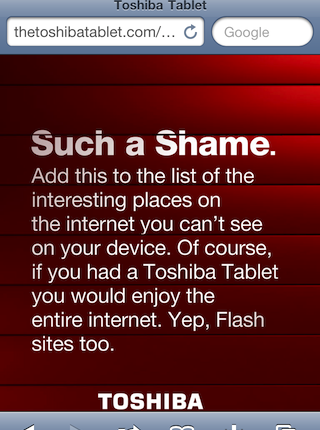 Toshiba’s teaser site for their upcoming tablet line looks like any regular Flash website on a normal desktop web browser. Visit that same website from an iOS device such as the iPhone or iPad, and not so much. Toshiba And Apple Reach Agreement For iPhone LCD Displays – iPhone 6, Anyone? We’ve heard the rumblings about the supply problems stemming out of Apple’s current relationship with LG, the South Korean firm that currently supplies the iPhone LCD screens. In a move that will likely give Apple more control over supply, Toshiba has announced that it will build a factory for 100 billion yen to produce future LCD panels. That’s a lot of money, about 1.2 billion in US dollars, which will certainly put Toshiba in the drivers seat when it comes to supplying screens for the iPhone.